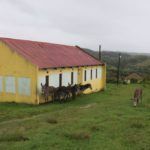 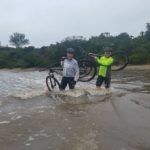 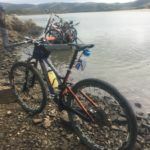 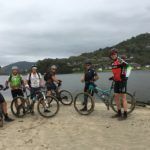 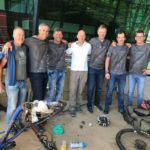 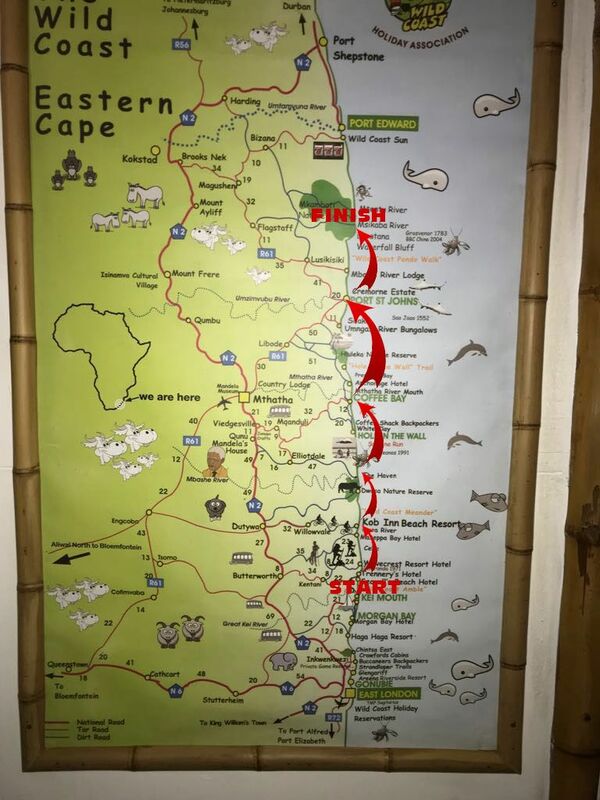 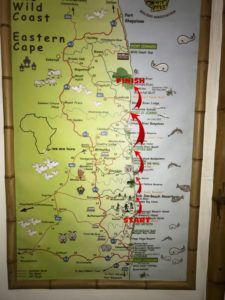 Recently a group of friends extended their annual “wild ride” from Trenney’s to Mngazi (normally takes 4 days) to finish in Port Edward in 6 days. 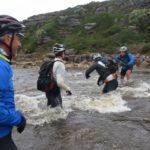 Sadly the flooding river became too risky to cross and the trip ended at the Mkhasibe River Drifter Camp, only 30km from the end. 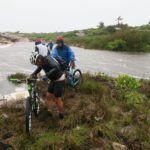 We stopped 30km short at Mkhasibe River due to the flooding. 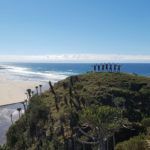 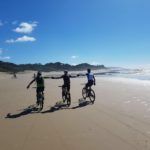 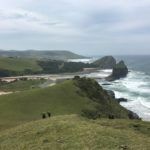 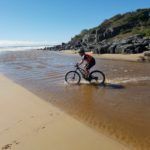 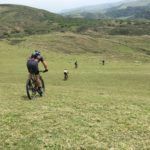 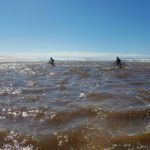 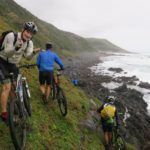 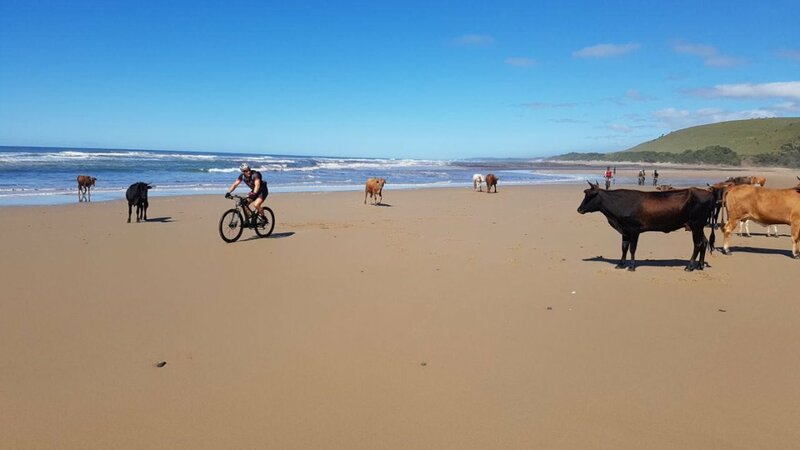 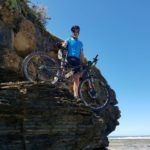 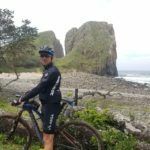 The Wild Coast is ideal territory for Mountain Bikers as there are long sandy beaches, challenging single tracks and gravel roads in abundance. 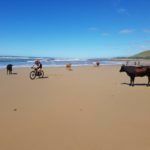 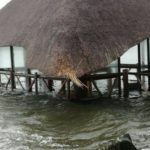 We enjoyed seeing unique sights such as waterfalls that drop into the ocean and cattle chilling in the surf which provided fantastic spectacles along the way.